The Alberta River Water Quality Index was developed as a way to summarize physical, chemical and biological data into a simple descriptor of water quality. The Index provides a simple snapshot of annual water quality conditions in major rivers of the province, such as the North Saskatchewan River. This index accounts for the inputs of all discharges in the region (municipal, industrial, agricultural and natural processes). 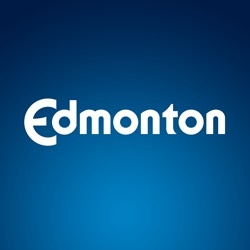 Edmonton's Watershed Contaminant Reduction Index (EWCRI) is an annual measure of the contaminants discharged to the North Saskatchewan River from the city of Edmonton, adjusted for population. The index is calculated using the measured amounts of sediments, nutrients and bacteria discharged into the river compared to a baseline value. Sources of contaminants from the city of Edmonton include the wastewater treatment plant, combined sewer overflow sites, and stormwater outfalls. An increase in the index value means less contamination is being discharged into the river. A score of 10.0 would result from zero contaminant discharge. Progress is being made towards reducing contaminant loading to the river through implementation of low impact development and other management programs.